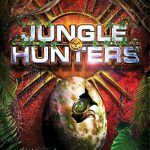 Home » Blog » News » Cryptid Hunters = Jungle Hunters in Britain. Cryptid Hunters = Jungle Hunters in Britain. WE LOVED IT!! I am an American living in the UK, having married a Welshman,and our 10 year old son chose your book at a recent school book fair. I remember Scholastic Book Clubs from when I was at school…it was such a wonderful thing to order from that leaflet. I have always loved reading, and I’ve tried to instill this same love in my son. He is so outdoorsey it\’s hard to interest him in much reading! So I was really pleased when we started your book together and he would ask for \’just one more chapter ?? ?\’ And then if I was too tired to carry on, he would grab a flashlight and read more himself, page turning till late, and filling me in on the plot the next day. Your story was so exciting and funny, and Connor really related to Marty. I have just been online to see what else you’ve written…apparently the sequel to Cryptid Hunters comes out over here in June….if we can make it that long! In the meantime I’ve ordered Captain’s Dog, and found your website here. Thought I\’d drop you a line of thanks for the days of shared reading joy I’ve just had with my son. ← April 6, 2011. No spring snow. Skype with Spring Branch. TX.